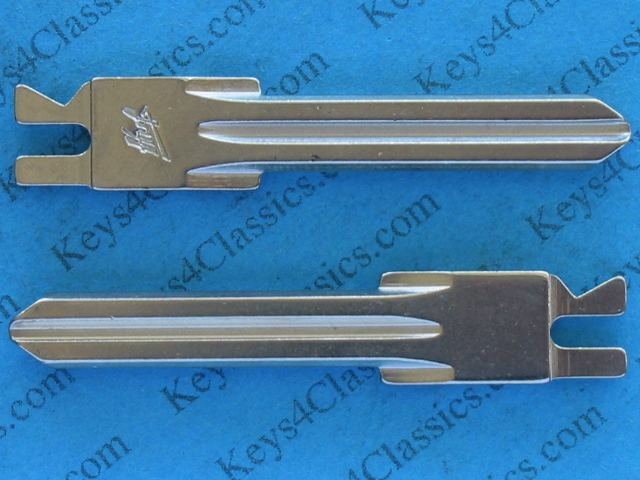 This ebay item is for ONE ORIGINAL PORSCHE KEY BLADE (made by and branded Huf), CUT TO YOUR KEY CODE and guaranteed as detailed below. 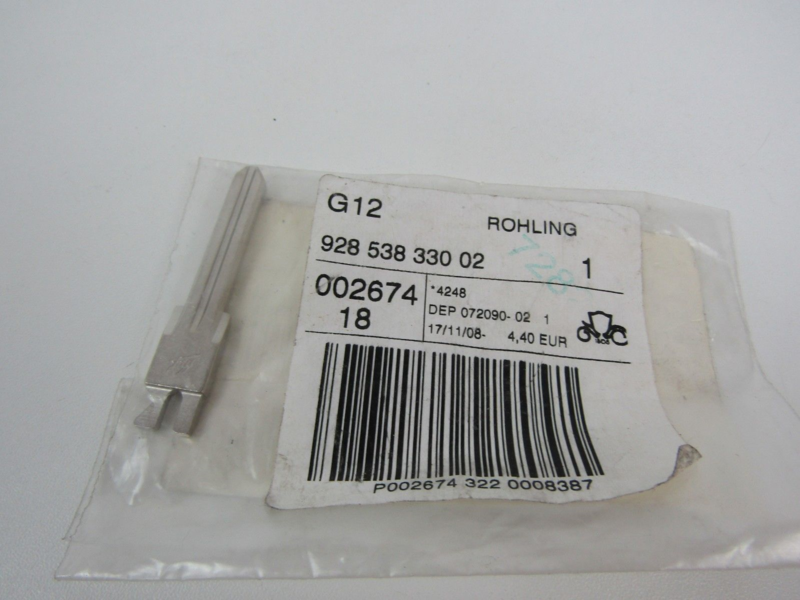 (I do not supply a head, it fits the original Porsche lighted black-head for 928, these are readily available on ebay from parts dealers). 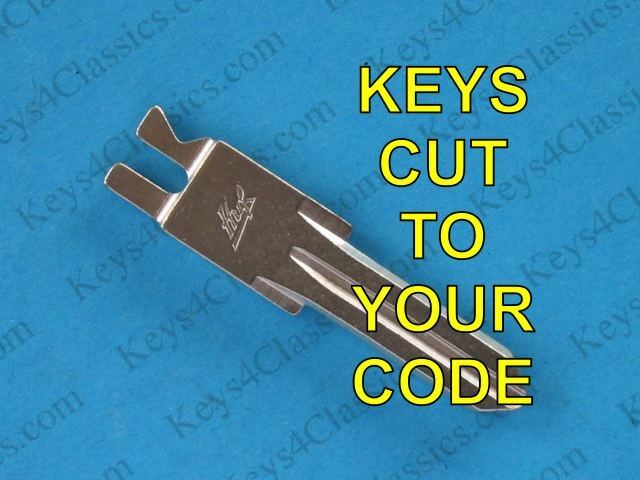 EMAIL ME A PHOTO OF AN EXISTING, WORKING KEY FOR MY FULL GUARANTEE on cut keys. 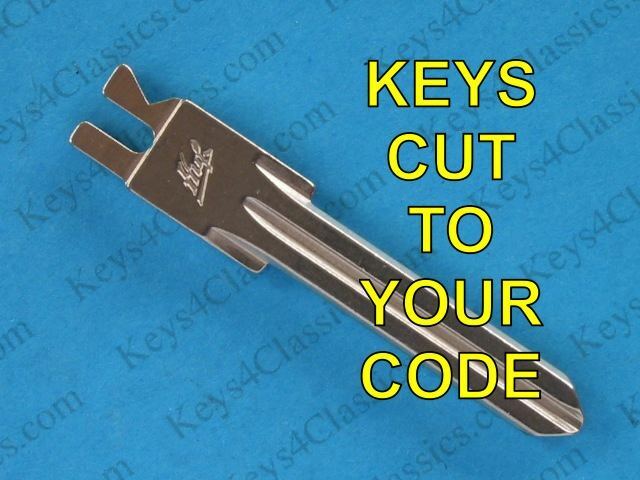 (I cannot supply a key cut to code without either seeing your existing key OR having the key code). This item price includes decoding your key from a photo. 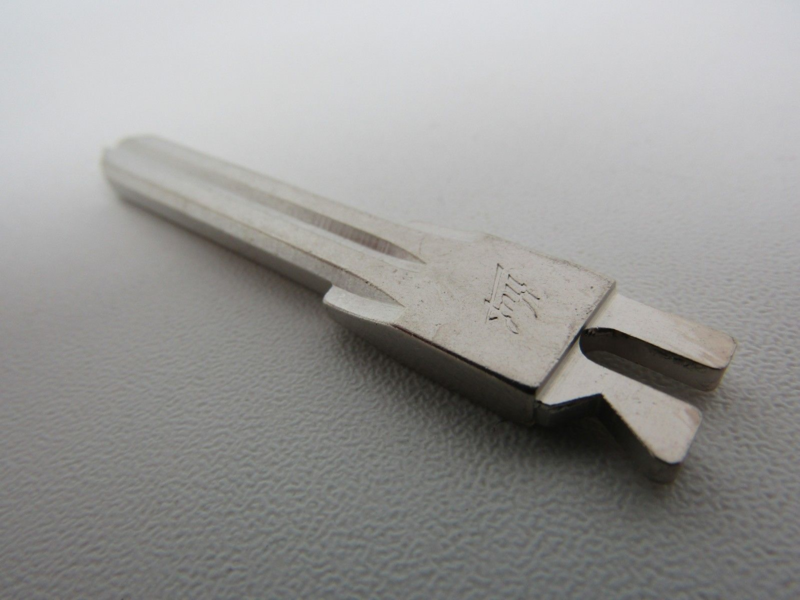 Without being able to check your key in a photo I can only provide a limited warranty that the key will be cut correctly to the code you provide. Your key code will be between HP0001 and HP1000 (leading zeros are often dropped). The code may have been noted in the original owners manual, or is part of your vehicle's build record. 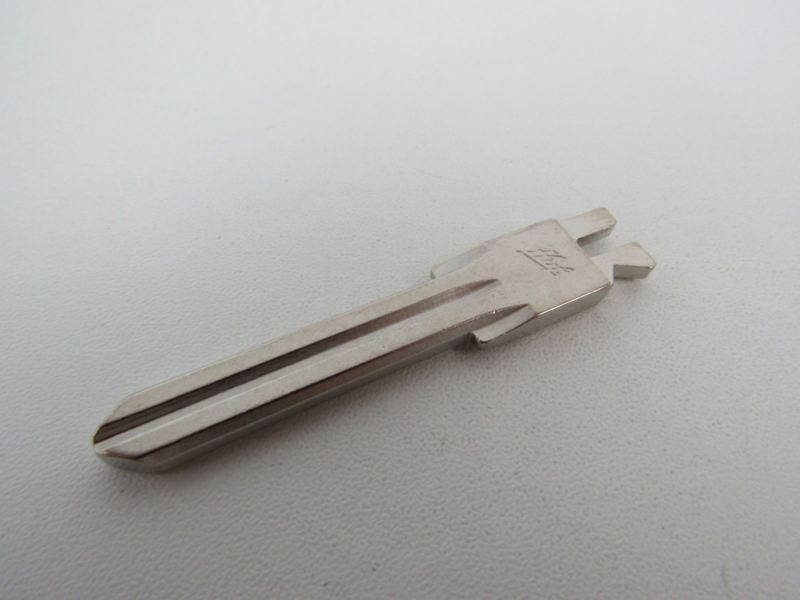 I will cut from a Porsche key code, without a photo of an existing key, only as a last resort (if you don't have a key to photograph). I CANNOT CUT KEYS FROM THE VIN, try Porsche for that, then come back to me for extra keys at a great price. 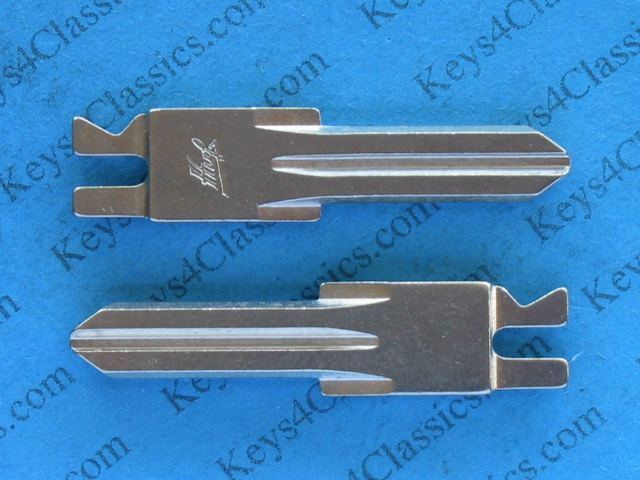 928 keys come in two types - a short black-head or red-head key for locks without alarm (overall key length = 3 inches or 7.5 cm) and a longer black-head key for locks with alarm (overall key length = 3-1/2 inches or 9 cm) and. I CAN MAKE A SHORT KEY BY DECODING A LONG KEY BUT I CANNOT MAKE A LONG KEY FROM A SHORT ONE. 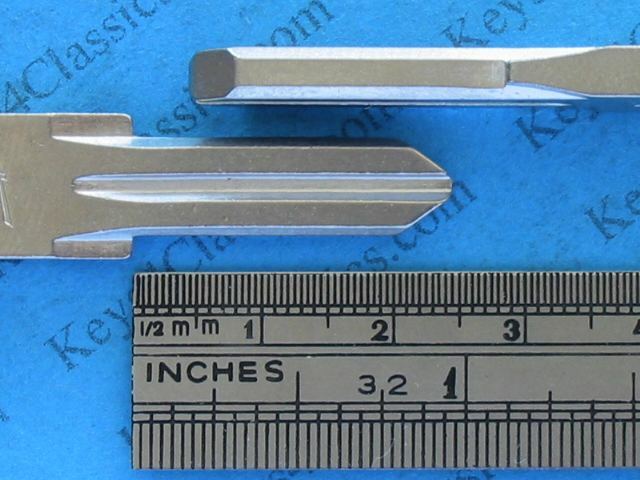 MY WARRANTY ON CUT KEYS: If you have provided me with a good photo of an existing, working key I guarantee that my cut key(s) will work well in your IGNITION and DOOR locks. This WARRANTY applies both where I have decoded your key or just checked a code provided by you, IF YOU SEND ME A GOOD PHOTO. 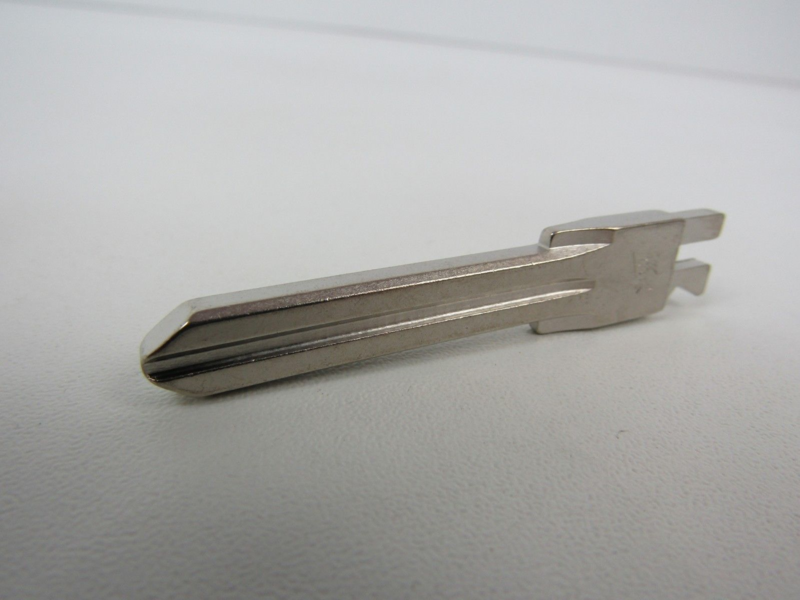 If you have NOT sent me a key photo, only a key code, I can provide only a LIMITED WARRANTY: that my key is correctly cut for that code. (If the key code is not correct for your lock the key will probably not work; that is not my fault). Note- Porsche 928 rear hatch locks are more exposed and the original grease in them dries out, so there are more keys problems with those locks (until they are re-lubricated). My key warranty does not include hatch locks. RETURNS: CUT keys are covered by my warranty as above but cannot be returned for any other reason. If you purchased UNCUT keys and made a wrong choice I will accept returns for exchange (see returns policy). SHIPPING TIME: I am located in Australia and ship thousands of items each year, mostly to North America and Europe. Buyers usually receive their items within about 2 weeks of the shipping date. However delays can occur in the postal system (or Customs/security inspections) that extend shipping time, I have no control over that. There is no real-time tracking of regular airmail. I will confirm the date that your item was posted and provide any tracking information available for your destination (USA/Canada have partial tracking). 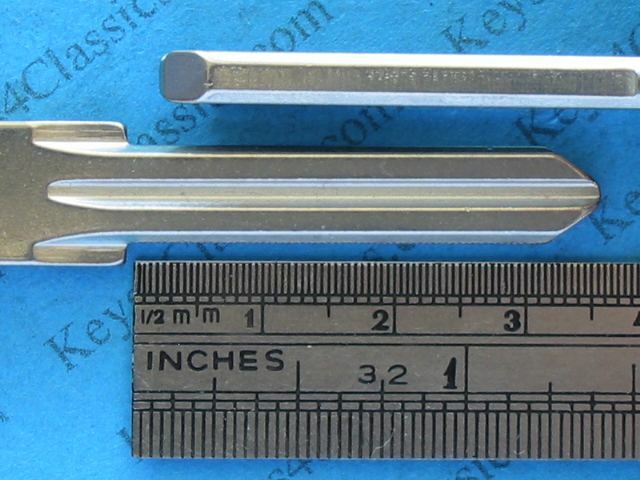 Digital photos of keys are generally better than scans. Photos should be in sharp focus and as close as you can get of the key (use close-up or macro). A simple rule is try to get the key to fill as much as possible of the frame of the photo. Both faces (sides) of the key are best. Natural light (sunlight) is best, near a window. Use a tripod or hold the camera over a pile of books to prevent camera movement. As a guide, a graphic file of between 250kb and 1mb is a good size. Smaller files may indicate not enough resolution and larger files are probably unnecessary. Digital cameras usually save photos in JPG format, that's good. PNG or PDF are also fine. Avoid non-graphic formats such as MS Word, or picture hosting services.